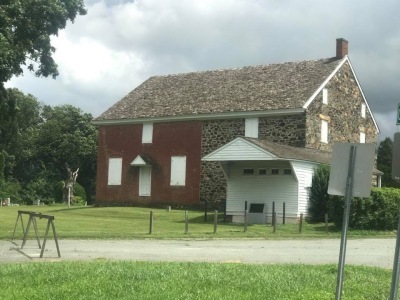 Two of the duties assigned to the members of the East Nottingham Township Historical Commission (​ENTHC) are to "Research the history of the Township from the native Americans to the present day " and "Prepare written documentation recording the history of the Township". 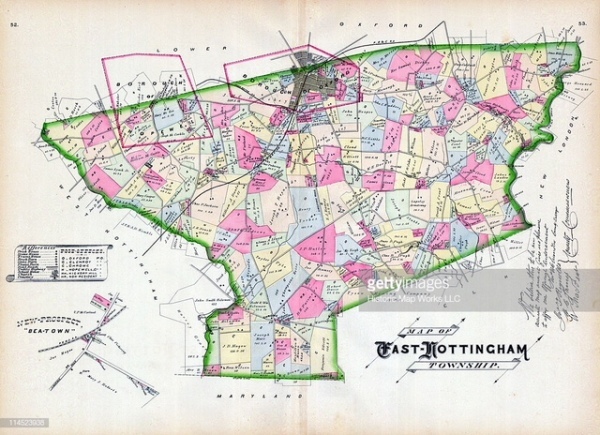 While it is true that East and West Nottingham Townships trace their origins back to the "Nottingham Lotts" of late 1701, these "Lotts" were never recognized as such as a legal entity. 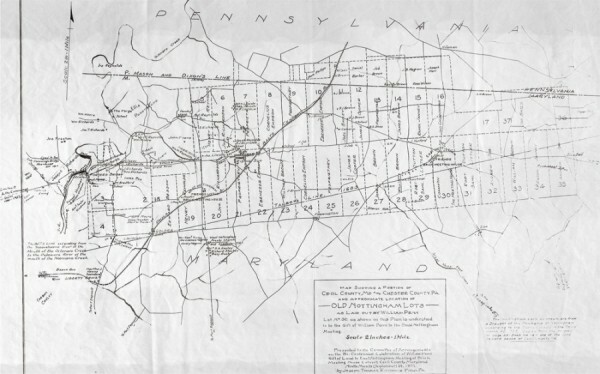 The earliest extant tax record for Chester County is that of 1715 and New Garden the nearest identified township. It is unclear where, or if, the Nottingham residents paid their taxes that year. The next extant tax list does not occur until 1718. 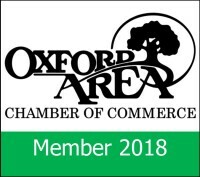 It was not until February 28,1715/16 (1715 old calendar,1716 new calendar) that the area from the Nottingham Lots north to New Garden Township was recognized as Nottingham Township. On this date, at the Quarter Session of Chester County (held February, May, August and November each year), Mercer Brown was designated the first constable of "Nottingham". The name Nottingham does not appear in earlier records. Mercer Brown continued as constable until August 27, 1717 when replaced by John Bayls (Beals, Bales). John Bayls continued until the Quarter Session meeting of May 27, 1718. 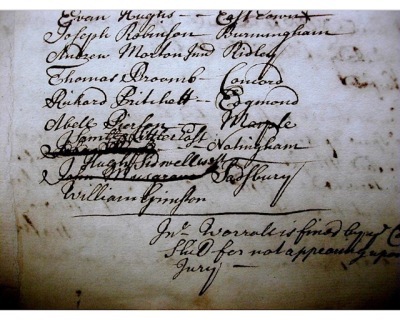 Quarter Session records of May 27, 1718 clearly indicate that John Bayls was expected to continue as constable of "Nottingham" Township as his name is written in as such. However, the name of John Bayls is crossed out and above is written in Samuel Littler followed by the word East and below is written Hugh Sidwell followed by the word west. It appears that at this meeting some sort of request was brought forth calling for separate constables and recognition for the Townships of East and West Nottingham to assume separate identities. Nothing in the records indicates a reason for the separate designation. In the same year the two townships are separated in the tax lists and have continued as such to this date. 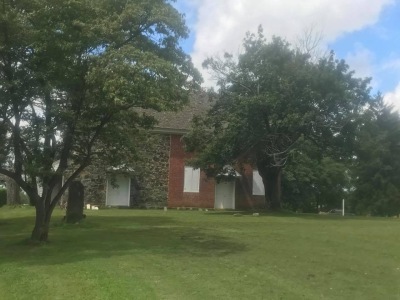 Historical records indicate a possible division in the Nottingham Quaker Meeting during 1718 with recognition of West Nottingham Meeting in early 1719 (History of Chester County by Cope and Futhey). Additional research is needed on this possibility. Throughout at least the next five years the constables were drawn from the Calvert (East Nottingham) and Rising Sun (West Nottingham) regions. 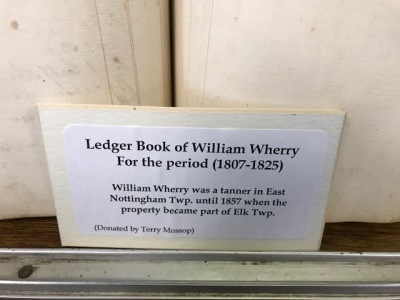 Chester County currently identifies the date of origin for East and West Nottingham Townships as 1718 based solely on their first appearance in the tax lists (County archivist). 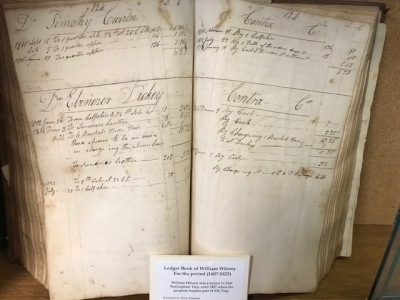 It appears that something occurred at the May 27, 1718 meeting of the Quarter Session of Chester County calling for Nottingham Township to be divided in East and West. 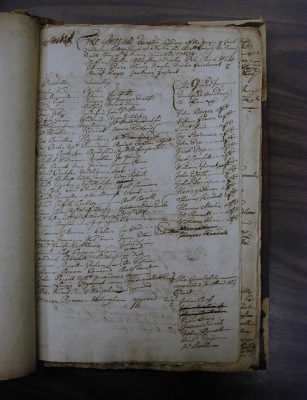 Based upon this evidence, the members of the East Nottingham Township Historical Commission proposed to the Supervisors of East Nottingham Township that they officially adopt the date of May 27, 1718, as East Nottingham Township’s date of establishment and separation from Nottingham Township established circa February 28, 1716. 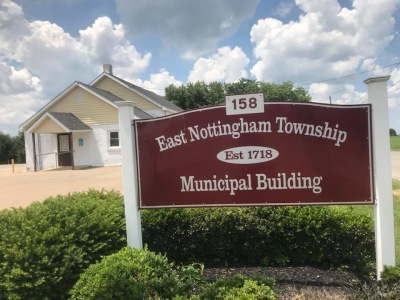 On May 10, 2005, The East Nottingham Township Board of Supervisors adopted May 27, 1718, as the date of Establishment for the township. It appears that the Nottinghams were first under jurisdiction from Kennett and then New Garden. 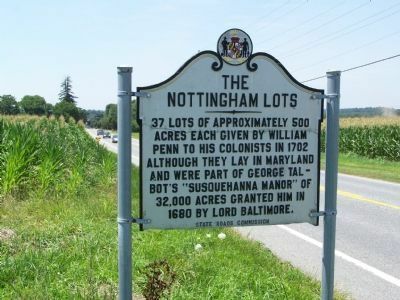 West Nottingham was centered at that time on the Quaker meeting not far from Rising Sun, Md. 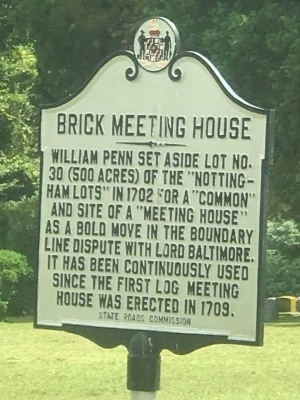 and East Nottingham was centered on the area around Brick Meeting House at Calvert, Md. Most, if not all, of the Nottingham constables listed below were residents of what would now be Maryland. Double dates in February refer to the dual dating system in effect at that time. The second year would correspond to today’s calendar. [ brackets ] indicate editor’s notes and guesses at name identification due to difficulties reading some of the handwriting.